Each one of us has its own favorite coffee and prepares it in a different way. 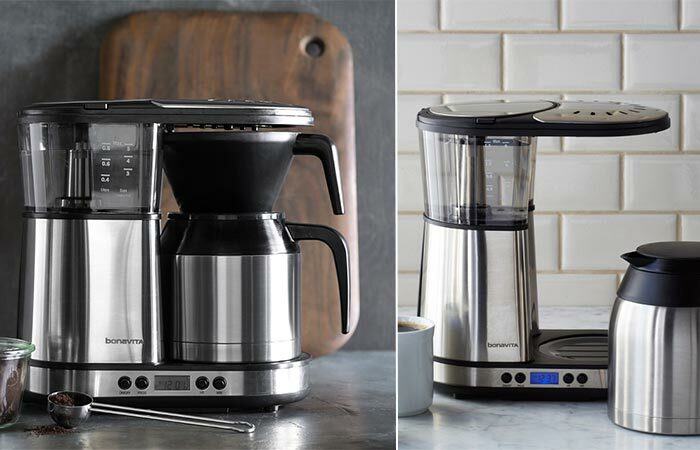 Today, we added five suggestions for coffee makers worth checking out. They bring something new to the table and deliver not only performance but style as well. Check them out below. A durable and simple looking glass pour-over coffee maker. 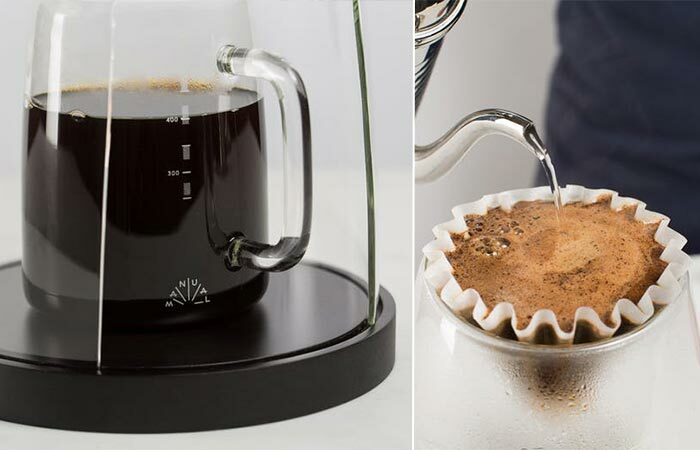 This pour over coffee maker is ideal for your home and office. It looks elegant and allows you to make a cup just the way you like it. Manual Coffee Maker N2 is crafted out of handmade sculptural glass and both the brewer and carafe feature heat-resistant glass. They are placed on a minimalistic lacquered bamboo base. For the full pour-over experience you can use either wave or cone-shaped filters. When you’re done with it, simply put the glass parts in the dishwasher. Next in line is one of the harshest coffee makers you’ll ever encounter. 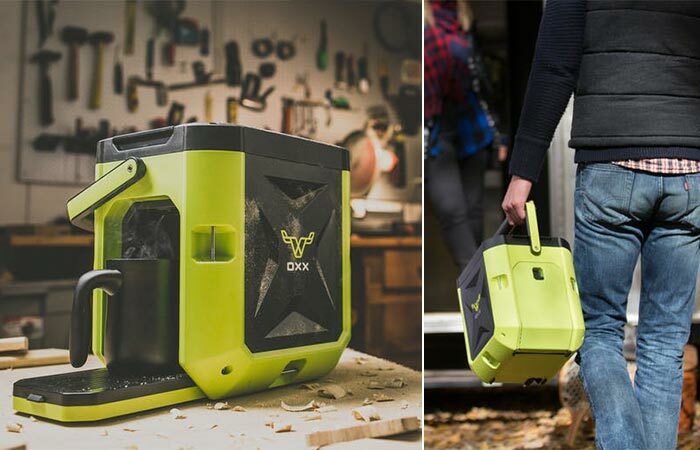 We’re talking about the Coffeeboxx that’s almost indestructible, making it perfect for camping and frequently moving around. It’s made from ABS plastic and aluminum, resulting in a spill, crush, dust, rust proof appliance that’s impact and water resistant. The body is lightweight, portable and comes with a 3ft retractable power cord. Use it to preheat the coffee in 30 seconds and brew it in just 75 seconds. Fits up to 8 mugs. Bonavita Coffee Brewer has a capacity to fill 8 cups and some serious performance features. We’re talking about its 1500-watt heating system that is designed to create an optimal brewing temperature. Speaking of the temperature, this coffee maker delivers 198° to 205° F. When the coffee is ready, it will alarm you and there’s a safety auto shut-off after 40 minutes. 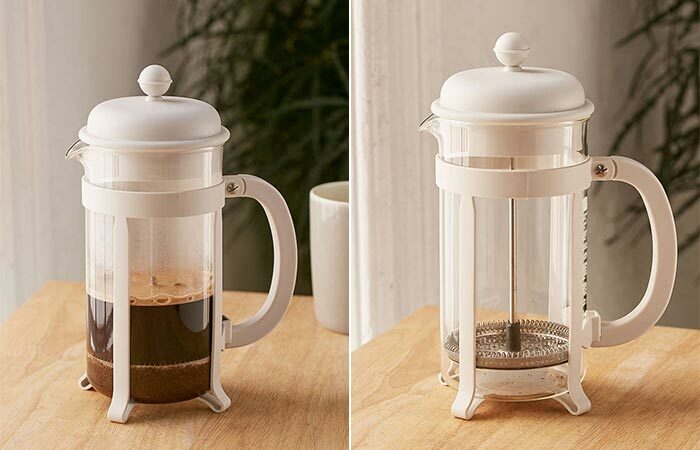 The durable stainless steel lined thermal carafe keeps the coffee hot for a long time and the filter has a flat-bottomed basket, for equal extraction of grounds. We’ve covered several coffee making methods and it’s time for a french press. This Bodum French Press is classical and elegant but at the same time delivers great performance. It features glass and plastic construction and is easy to clean, simply handwash it after use. Inside you can fit 34 oz of coffee. For those of you unfamiliar with this coffee making technique, you should know it’s super easy to master. All you have to do is add water and coffee, stir, and after 5 minutes press it slowly until the coffee is ready to be served. Features one-touch controls for each function. 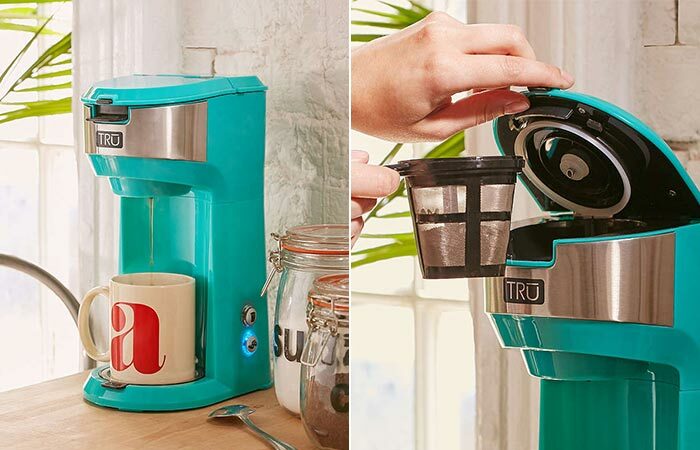 We’ve come to the last one for today- TRU Single Brew Coffee Maker. It’s just what your kitchen needed for a fresh start to the day. The device is very easy to use since it features one-touch controls for each function as well as an auto shut-off setting. You’ll also get it with a removable filter basket and drip tray. With this coffee maker, you can prepare 10 oz of coffee.